The Dungeness crab gets its name from the town of Dungeness, Washington where the first commercial harvesting of the crab was done. These sweet-tasting suckers dominate the West Coast living in the Pacific Ocean from southern California all the way to even Alaska. These crabs are so famous on the West Coast that the Oregon State Legislature named the Dungeness crab as the state crustacean in 2009. These are some tough-looking crabs, and they utilize their strong pincers to ward off predators and to facilitate eating their prey. About one-fourth of the Dungeness crab’s weight is meat. The meat itself has a sweet and delicate taste and makes these guys a delicacy on the West Coast. Check out a Dungeness crab recipe here. There are many ways to cook the crab. You can take the easy route and boil them in salt water and ingest with a melted, buttery dip. 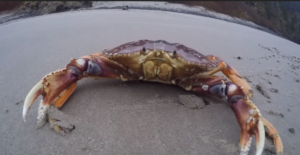 Or you can half-back them which is performed by flipping them upside down, separating the crab into two halves but splitting it from the head to the tail, and then subsequently cleaning out the guts and the gills. This may be a preferred way to prepare the crabs as this removes the guts which may contain toxics that will contaminate the crab’s sweet, savory flavor. Where does the Dungeness Crab live? As mentioned before, the Dungeness crabs dwell along the West Coast of the United States. Its habitat, though, can be described as bays and near shore waters that have sandy or muddy beds. 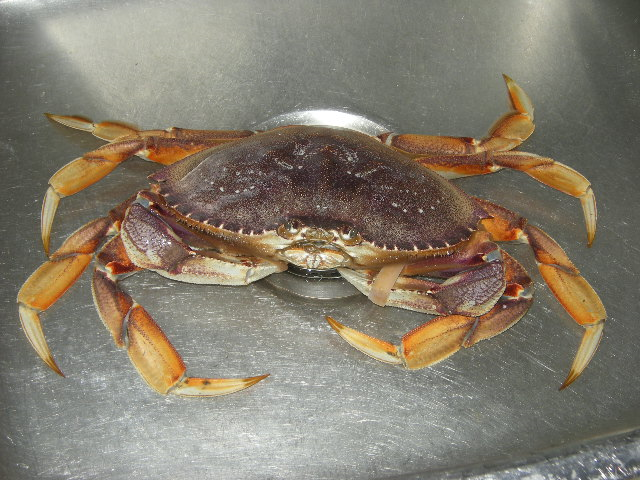 Typically, Dungeness crabs are saltwater crabs but they are known to tolerate a wide range of water salinity. They usually live in waters no deeper than 30 meters but can be found at depth of up to 180 meters. Dungeness crab can also live near the shore so this may be perfect for the line and net method of crabbing.